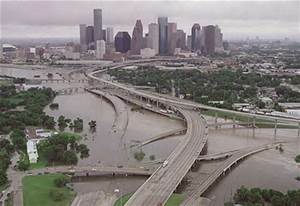 Did EPA Put a Part of Texas Under Water With Weather Manipulation? …by Gov Greg Abbot, former Governor Rick Perry, or any of the Texas congressional delegation including Ted Cruz and Louis Gohmert. First, a history of the Lie. Amidst increasing FOIA requests and public complaints, toward the end of the Clinton Administration, in September, 2000, the EPA published an official policy statement, (I recommend you read it.) with photos and descriptions, asserting that what citizens believed to be “chemical trails” in the sky were in fact con-trails, or the exhaust from commercial jet liners. That was a bureaucratic generation ago, 15 years. EPA probably has few policy people from that time even on the payroll today, so the official truth has taken root in the collective bureaucratic consciousness. This was a total fabrication, as Clinton-esque a lie as the government has ever told. And this has been the official line by US government agencies ever since, at every level, and much like climate scientists today who question any aspect the official climate change policy of the United States government and the United Nations, anyone who questions this “official truth” is labeled a “denier”, and held up to public ridicule. Still, outside major metropolitan areas, as much as 90% of the “trails:” citizens see across the sky are chem-trails, without a doubt. Photo evidence is conclusive, as are statements by pilots and crews, and contracting companies hired to put those aircraft in the skies, and lab tests of some of the particles that fall to the ground. No one in government will say what these trails are, or for what purpose they are being sprayed in the atmosphere. They will only say they are not chem-trails, but contrails. End of story. Why did EPA lie in 2000 when it said these were con-trails…when clearly they are not? Then, once you’ve grabbed that doggie, Texas, by the tail, don’t let go. What Will Scott Pruitt’s Next Job be for President Trump? Trump Should Use the Executive Order to End EPA’s First Great Scam, ChemTrails.